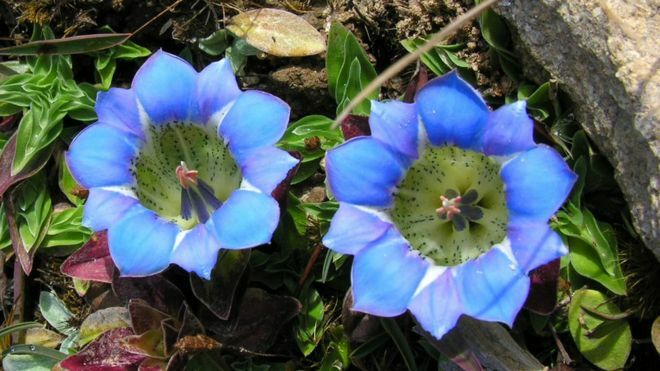 Seeds of exotic plants illegally collected in the Himalayas are being sold in the UK, the BBC has found. Some of the suppliers told the BBC that locals had actually helped them collect the flowers; others said they did not know their activities were illegal. Experts say horticulture societies and clubs across the UK have long raised questions about such practice. 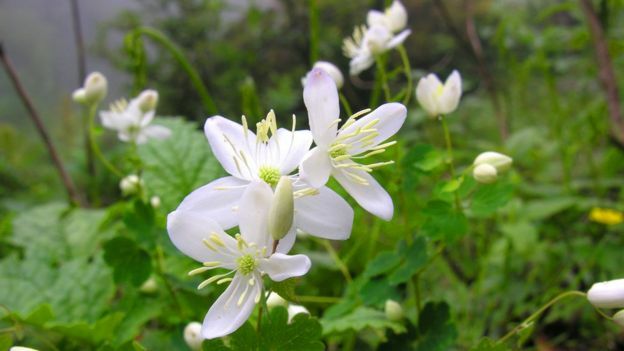 “When people are flouting the regulations, then that impacts us – because the host countries get more cautious about things, and we are helping them develop the protocols for ethical sharing of plant materials and the benefits,” said Mark Watson of the Royal Botanical Garden Edinburgh. The Rhododendron, Camellia and Magnolia Group (RCMG), a UK gardening organisation associated with the Royal Horticultural Society (RHS), has admitted that one of its collectors did not have permission. The group’s chairman, David Millais, wrote to the authorities in India’s Sikkim state, saying: “We have been informed directly by Timothy Atkinson (one of the seed collectors for the group) that he did in fact not have permission to collect seed in Sikkim in 2012 and 2013, which is deeply regrettable. Mr Mallais wrote to the Sikkim authorities after our investigation prompted the latter to launch an inquiry. 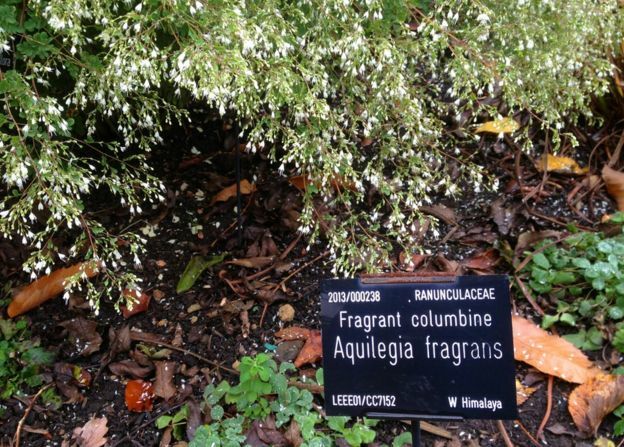 Mr Atkinson’s name appeared in the RCMG listings for nearly 250 collections of different varieties of plant seeds in Sikkim and West Bengal states of India. 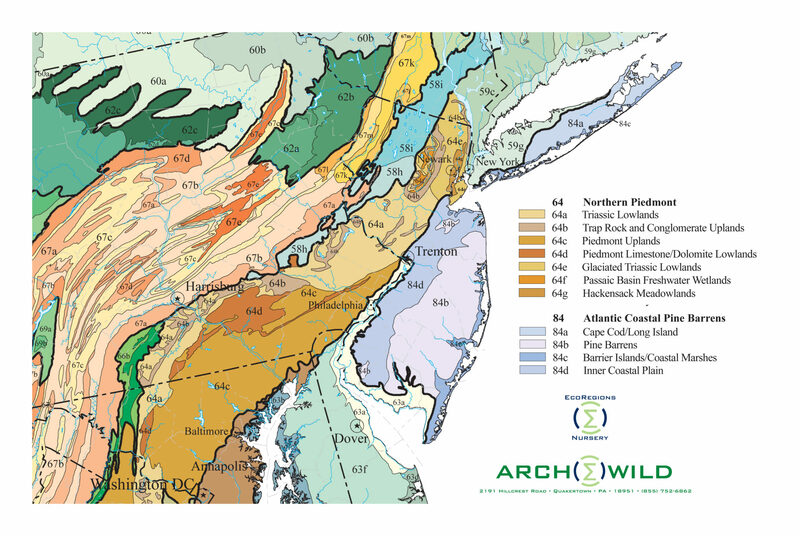 Some collections even took place in wildlife reserves and sanctuaries. 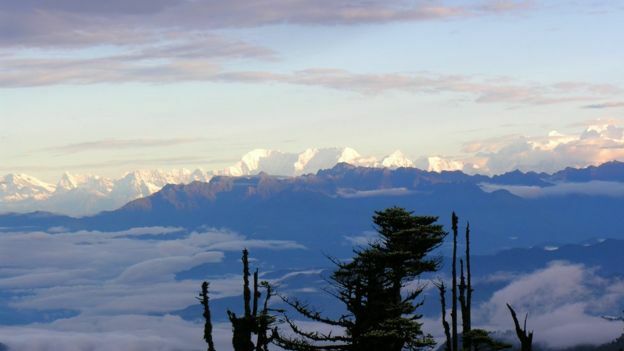 “Collection of plant specimens is strictly prohibited from wildlife protected areas under the Wildlife Protection Act of 1972, and even from the other reserved forest areas,” said Thomas Chandy, principal secretary with Sikkim’s department of forests, in a written response. Mr Atkinson declined our request to interview him. The 2015 offer list of the RCMG had nearly 850 collections of plant seeds, with more than half of them sourced from the Himalayas, including in India, China and Myanmar. 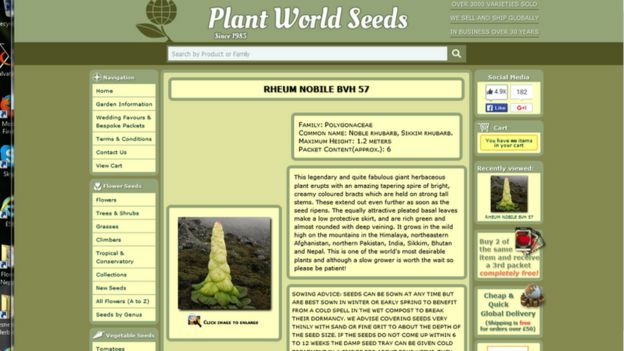 The group later wrote to its members to inform them that all wild-collected seeds were being removed from the website. 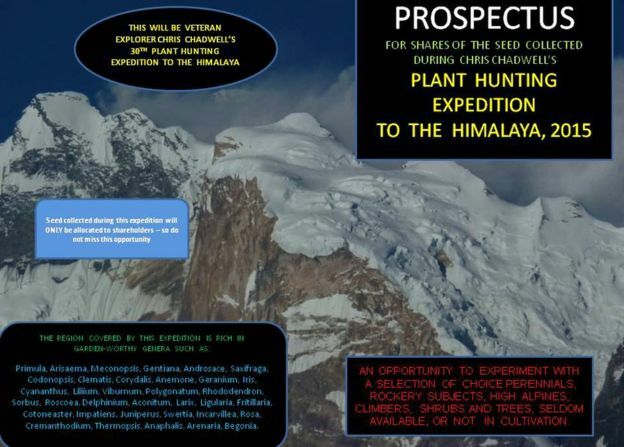 Ray Brown is the proprietor of another supplier, Plant World Seeds, which put some of Himalayan seeds on its website. Mr Brown refused to comment when asked if he had obtained permits for the seeds’ collection. He was in a team that went to Nepal and collected nearly 60 plant seed varieties in just one trip in 2014. The ID numbers Mr Brown’s team gave to the seeds collected in Nepal matched those of the seeds offered on his Plant World Seeds website. These numbers have now have been removed from the site. Authorities in Nepal said Mr Brown’s team had no permission to make a collection. Some suppliers of seeds say they get them from local collectors and therefore they need no permission from host countries. One such supplier is Himalayan plant expert Chris Chadwell, who has provided seeds to private and public gardens in the UK. The Sheffield Botanical Gardens, for example, has a bed where plants from the Himalayas are being grown, and officials at the garden said many seeds were supplied by Mr Chadwell. “P Kohli and Company (an Indian firm, he says) have a licence, and they have been permitted to export seeds and I am associated with them, and I liaise with them and do my collecting trips with them,” he told BBC News. Mr Chadwell refused to give us contact details for the Indian company and other individuals who he says have legally supplied seeds to him in the past. Indian authorities have told the BBC that even if seeds are collected by locals, foreigners are not allowed to receive them without authorisation. “The non-Indian person or entity is required to obtain the prior approval of National Biodiversity Authority (of India) for access to biological resources occurring in India or knowledge associated thereto for research or commercial utilisation or bio-survey and bio-utilization,” said KP Raghuram, an official with the NBA. Mr Dangi, with Nepal’s forest department, said something similar: “If they want to get seeds collected and exported to them by locals, they first need to get the permit from the department of forest, and based on our approval the phytosanitary office screens such materials and gives the certification. The Sheffield Botanical Gardens officials said things were beyond their control. “We are not the ones that are going out and doing the collection so we have to, to a certain extent, trust they are getting those permits,” the garden’s acting head, Ian Turner, told BBC News. The Nagoya Protocol, an international treaty that came into being in 2014, prohibits the collection of plant materials without an agreement with host countries on the sharing of benefits arising from such resources. Some authorities in the Himalayan countries have also been criticised for not working in the spirit of that treaty and discouraging foreign seed-collectors who are willing to operate legally. But experts say the onus is on the recipient countries as well. “As an EU member state, the UK is subject to new EU regulation which implements the Protocol in the EU,” says John Dickie, senior research leader with theMillennium Seed Bank, which is run by the Royal Botanic Gardens, Kew. Mr Watson from the Edinburgh gardens said people growing plants at home should be aware of where their plants are from – and what impact their removal could have on those countries and local people.